William Langley (British, fl. 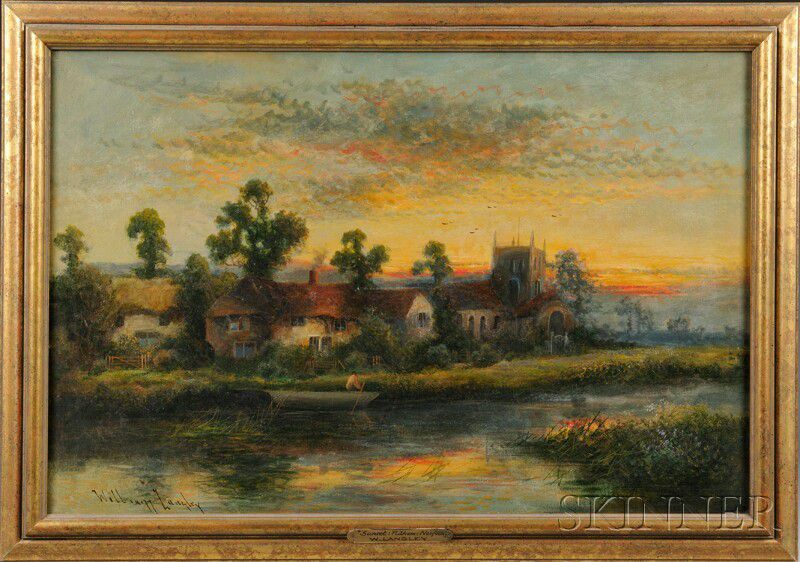 1880-1920) Riverside Landscape at Sunset. 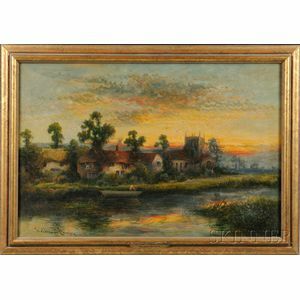 Riverside Landscape at Sunset. Signed l.l. Oil on canvas, sight size 19 1/2 x 29 1/4 in., framed. Condition: Minor surface grime.